Northern Ireland will be at the centre of the global sporting spotlight when The Open is staged outside of Scotland and England for only the second time in the Championship’s more than 150-year history. Ballycastle to Portrush is a short 30 minute drive along the picturesque Causeway Coastal Route. Ballycastle is a popular and conveniently located hub for avid golfers. The Causeway Coast and Glens boasts some of the finest links and parkland courses on the island of Ireland. The Marine Hotel is ideally located for guests to enjoy the best of the provinces iconic courses, from Ballycastle Golf Club right outside our door, to Royal Portrush, Portstewart and Castlerock a short drive along our stunning coastline. We offer guests exclusive golf rates and packages; contact our sales team to discuss your next golfing trip. 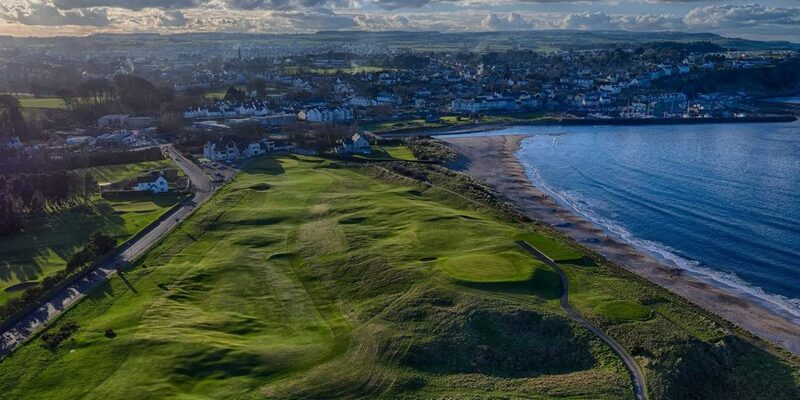 Ballycastle Golf Club, founded in 1890, sits yards from the shoreline on the Causeway Coast, a spectacular stretch of golfing coastline of unsurpassed beauty. The golf course is one of the most scenic in Northern Ireland and has a multitude of personalities from tame parkland holes to wild links offerings and includes flat and low-lying holes and a back nine that launches you up into seaside hills that command panoramic views of the town of Ballycastle, Fair Head, Rathlin Island and on a clear day the Mull of Kintyre. It’s exposed location and the typical challenging conditions call for real shot making, from punched long irons, little bump and runs to hitting under the wind. This is how the game originally started and what real golf is all about. 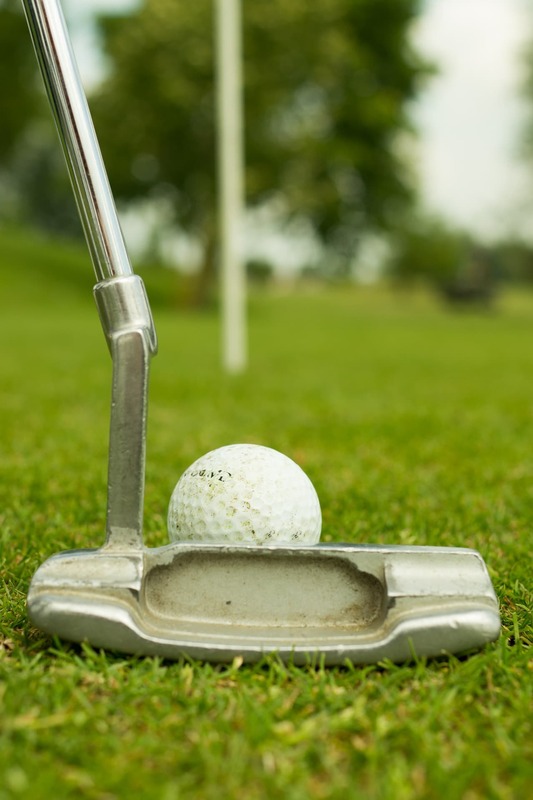 By the end of the round there is no doubt that you will have used every shot in your bag. Royal Portrush Golf Club is home to one of the best and most challenging links golf courses in the world, the Dunluce Links, and the hidden gem, the Valley Links. The only club in Ireland to have hosted The Open Championship, Royal Portrush is a members club which welcomes visitors all year round to face the challenges of its courses and to brave the testing conditions. Founded in 1894 and redesigned by Willie Park jnr in the 1920’s this championship links course received its greatest makeover with the purchase of land known as “Thistly Hollow” in 1981. This enabled the club to build a stunning new seven holes through towering dunes and fabulous and natural links land. Designed by Des Giffin the Strand Course is the jewel in the Portstewart portfolio. Castlerock Golf Club, is a classic links course set amid towering dunes. Castlerock is rated as one of Ireland’s finest links courses and its status in the game is reflected by the fact that it has hosted many National Championships both Amateur and Professional. Graced with the natural beauty of its peaceful setting and the views that surround it is the Club’s underlying pursuit of excellence that keeps this place a sacred retreat for the truly ardent follower of golf.